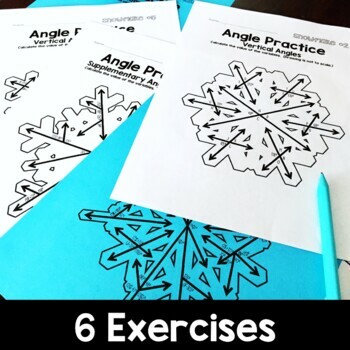 Students find missing angles and solve equations using angle relationships with these fun snowflake worksheets! 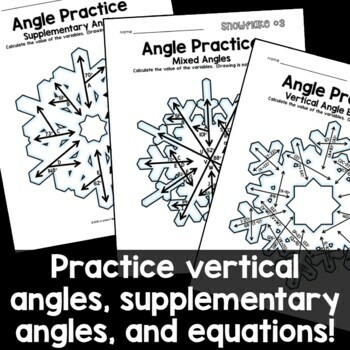 Vertical angles and supplementary angles are drawn on snowflakes with missing measures. 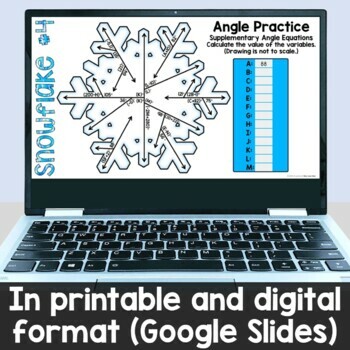 The snowflake sheets can be printed individually for practice worksheets OR use them for math centers. Answer recording sheets are provided for centers or stations. 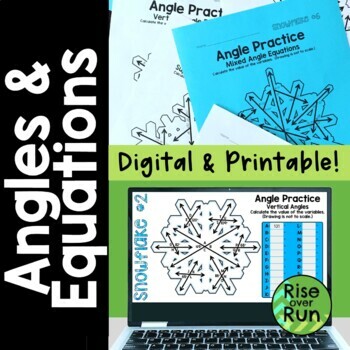 Thank you for your interest in this resource from Rise over Run.